Depart Adelaide for local tour of Coober Pedy, 60 minute flight over Lake Eyre from William Creek, local 4WD trek to Lake Eyre, sights of the Oodnadatta track, Arkaroola 4hr 4WD Ridge Top Tour & (optional Astronomical Observatory tour) , 30 minute scenic flight around Wilpena Pound. Travel in the comfort of a modern air-conditioned 4WD station wagon, registered chauffeured vehicle. Follow in the footsteps of the famous explorer John Mc Douall Stuart and the old Ghan Railway, visit the true outback, see some of the harshest country in Australia, realize the hardship of people building the Ghan railway and the overland telegraph line, take the famous Arkaroola ridge top tour and a spectacular scenic flight around Wilpena Pound. Return to Adelaide via Bunyeroo Valley / Gorge & Brachina Gorge. Finish off the tour sampling the produce of the Clare Valley, famous for quality wine production. Tours depart on demand any day of the week with a minimum of two passengers and a maximum of four passengers per vehicle. Day One: Tour departs Adelaide at 6.30 am for Coober Pedy via Pt Augusta and Woomera (brief visit to Heritage Park in Woomera). Arrive Coober Pedy approx 5.30 pm. 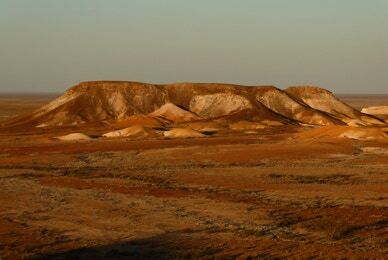 Tour around Coober Pedy on arrival including The Breakaways and the Dingo Fence,. O/night underground accommodation at Coober Pedy. Day two: Spend the morning visiting The Old Timers Opal Mine Museum, Big Winch Lookout & Underground Catholic Church before departing for William Creek via Anna Creek Station, the largest cattle property in the world. Picnic lunch at Lake Caddi then onto William Creek Hotel before 4WD trek to Halligan Bay on the western edge of Lake Eyre North. O/night ensuite cabins at William Creek Hotel. 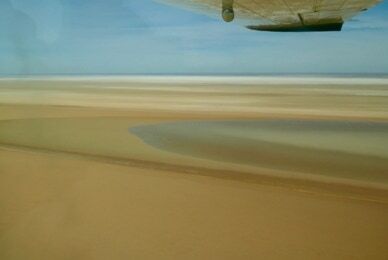 Day three: Start the day with a one hour scenic flight over Lake Eyre. Depart William Creek approx 9.00 am for Arkaroola Wilderness Sanctuary via Marree, Lyndhurst & Copley. Stop in at the Bubbler and Mound Springs before morning tea at Curdimurka siding. Stop at Lake Eyre South before continuing on to Marree for lunch. Visit the ghost town of Farina and the Lyndhurst Ochre pits. Leave the desert behind as we enter the Gammon Ranges arriving at Arkaroola approx 5.30 pm. Day Four: Take the famous 4 hour 4WD Arkaroola ridge top tour then enjoy a relaxing lunch before leaving for Wilpena Pound, traveling through the heart of the Flinders Ranges. Visiting the old copper mining town of Blinman. Visit Stokes Hill lookout before our arrival at Wilpena Pound Resort. Day Five: 8.30 am. Spectacular Scenic flight around this ancient, geological formation called Wilpena Pound. Return to Adelaide via Bunyeroo Valley & Gorge, Brachina Gorge, (a geological journey through 640 million years) & the Clare Valley, famous for quality wine production, sample he local produce before arriving in Adelaide late afternoon. Tour content may change without notice due to weather conditions and the availability of accommodation. Unsealed roads in this area are impassible when wet and may be closed after heavy rain. If in the unlikely event we are unable to proceed beyond Coober Pedy, we will return via the main highway. Tour price will be adjusted accordingly. Costs extra to the Itinerary are the responsibility of clients.